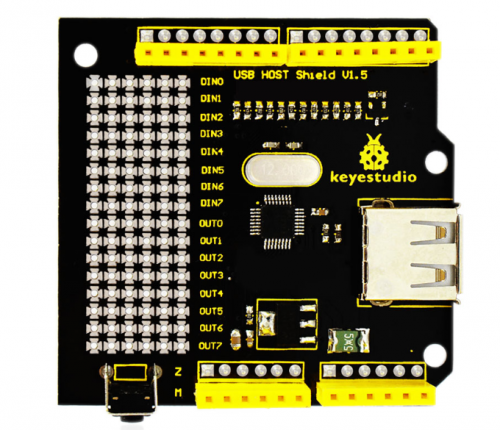 keyestudio USB Host shield V1.5 is an add-on board for Arduino USB Host. 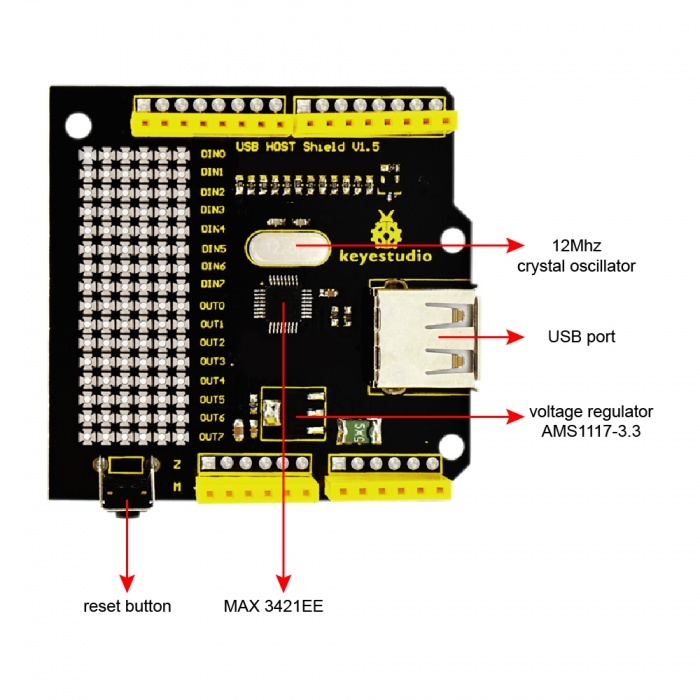 Directly plug it to Arduino board and it will allow Arduino to have USB Host function. 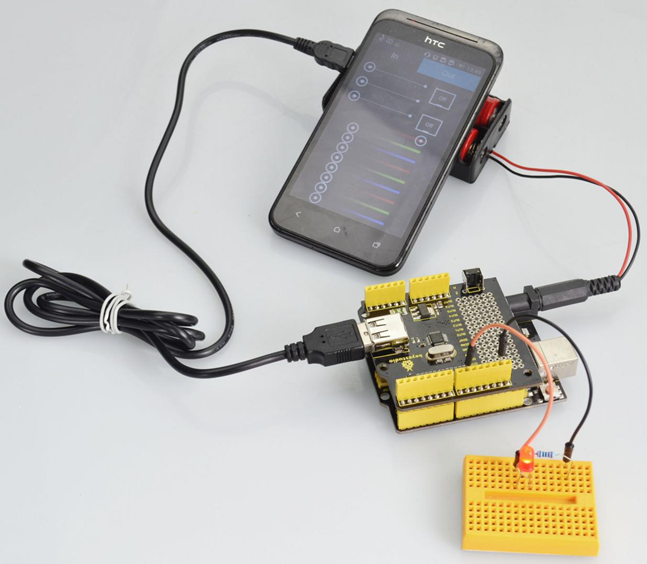 Arduino with host function can communicate with USB devices, such as USB flash disk, keyboards, mouse, joysticks, digital cameras. 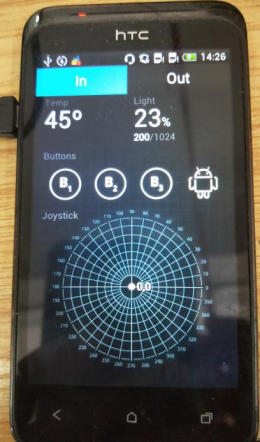 Among these functions, the most attractive one is supporting the connection of android phones to realize Google ADK function. 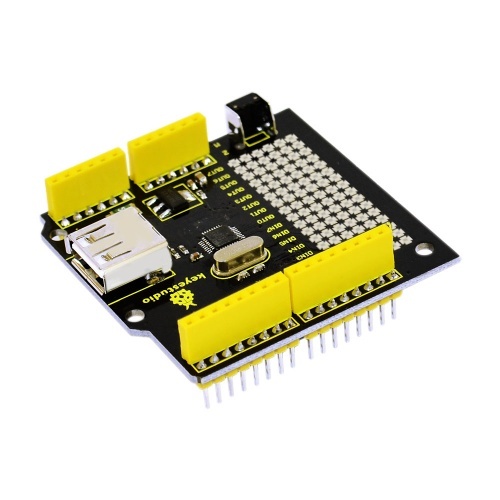 It enables your phone as a control terminal to control your robot or other devices. Meanwhile, it can display the collected data on your mobile terminal. Realizing the USB Host function, enable to communicate with other USB devices and support the USB HUB function. Onbaord comes with double-sided through-hole pad, welding the electronic elements and setting the prototype circuit. 2. The test code is only compatible for lower Arduino 1.0 version IDE. 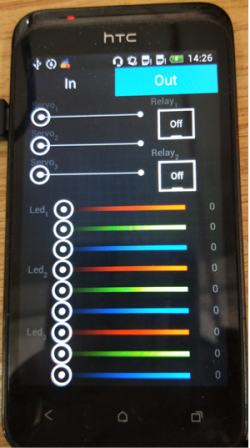 Install the DemoKit APP on your Android phone( at most Android 4.0.3 version). 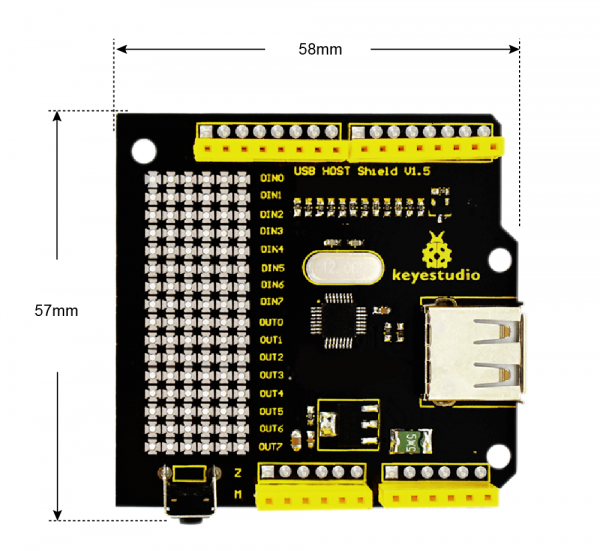 Stack the shield onto UNO R3 board and upload the code, connect an external LED. Then connect the shield to your phone using a micro USB cable. Powered on, click the icon of DemoKit to enter the input interface, then click Out to enter the output interface. 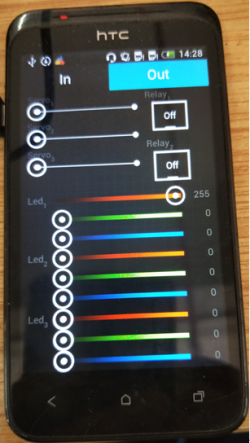 When slide the Led1, the display data will be changed in the range of 0-255. The greater the value is, the brighter the external LED is. This page was last edited on 18 April 2019, at 13:10.